Let the countdown for Beneath the Veil begin! Only 10 DAYS left until the 4th annual Beneath the Veil Beauty Bar and Bridal Event! 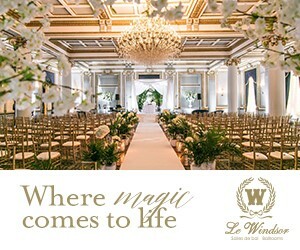 On Sunday, October 15, 2017 at the Rosewater in Toronto, this boutique-style bridal showcase will feature Toronto-area wedding industry professionals, while gathering inspiration in an intimate setting. Enjoy the music, discuss ideas over wine and hors d’oeuvres and visit the Beauty Bar for mini makeovers and tips for your big day! Every bride will receive a complimentary copy of Elegant Wedding Magazine! Get your tickets here. When: Sunday, October 15, 2017, 12 p.m. to 6 p.m.